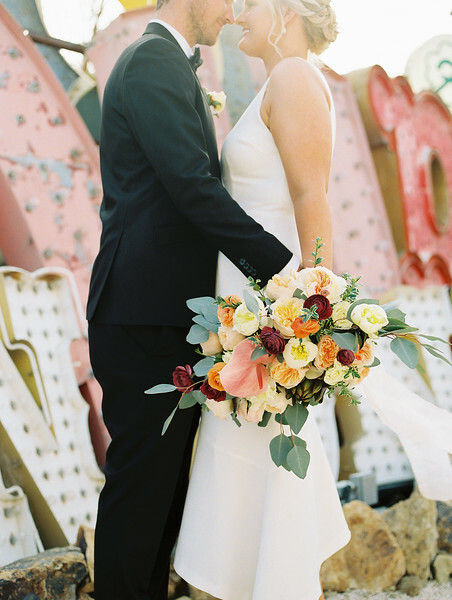 The Neon Museum, located in downtown Las Vegas, is the most unique and colorful venue Vegas has to offer. 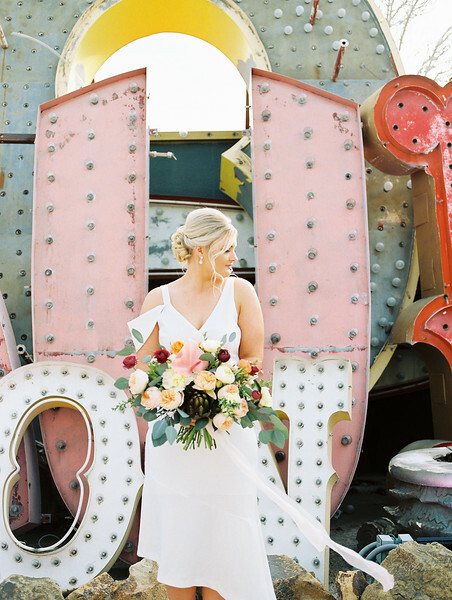 Surrounded yourself with colorful neon signs, signs that once lit the streets of Vegas, the Vegas Elvis knew. 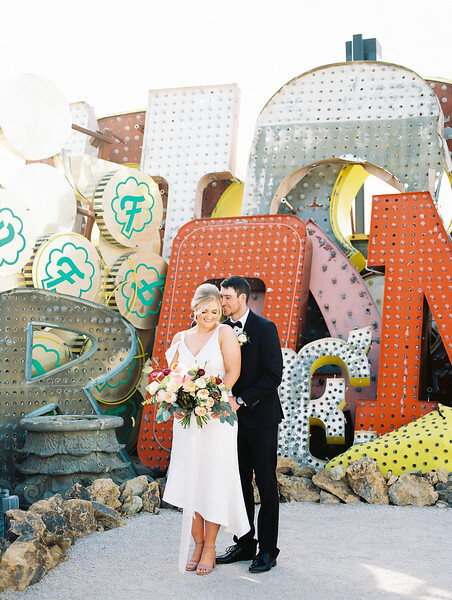 If you're wanting a retro and vintage inspired Vegas wedding or elopement, the Neon Museum is a must. 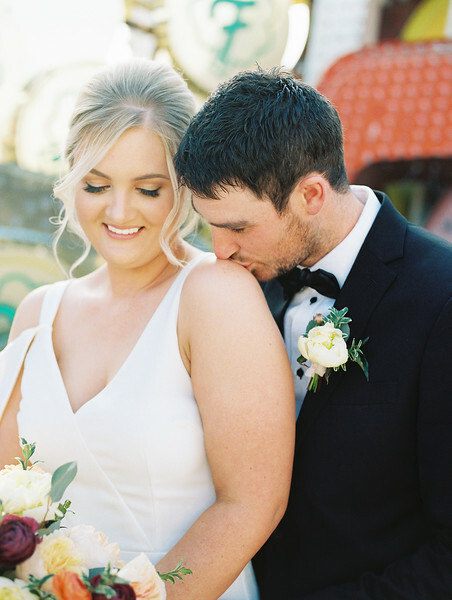 But it’s also just fun to add to your Vegas elopement as a unique location that you'll only find in Vegas. The museum represents all Vegas was and the vibe that downtown is starting to restore and bring back. Downtown Vegas is centrally located, you’re close to the Strip and also close to the desert. 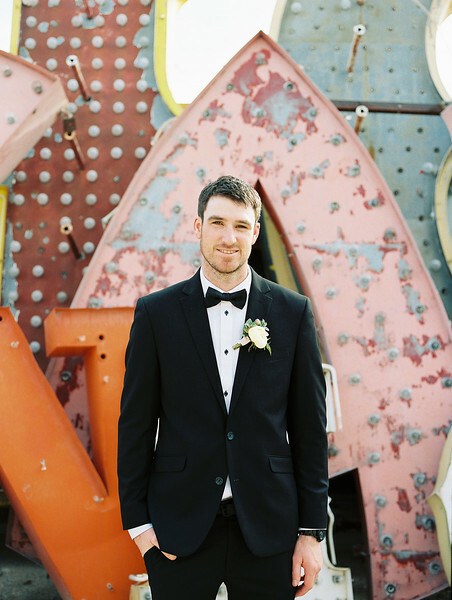 You can easily add a 30-minute Neon Museum photo session to your wedding day. 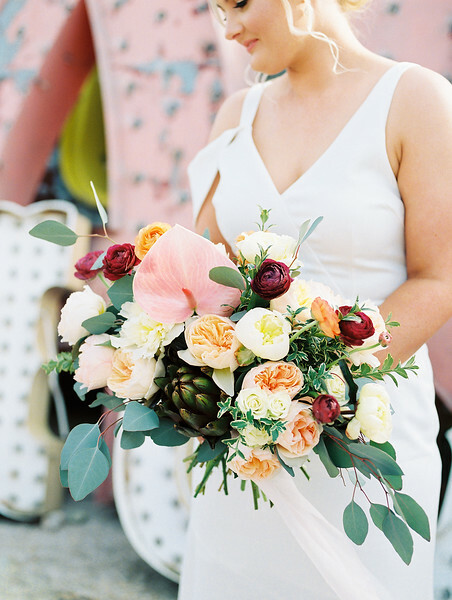 After the photo shoot, you can roam the streets of downtown or head out to the desert to marry your love at sunset. 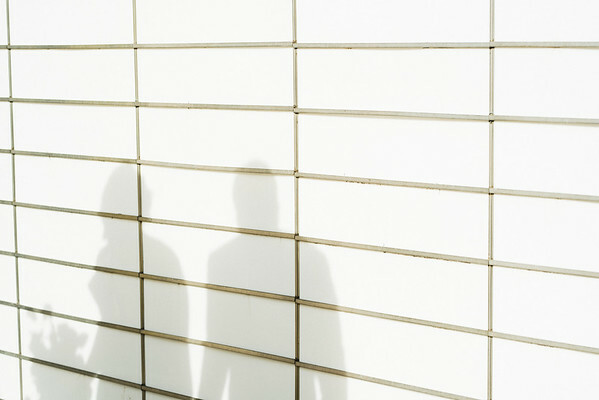 To book a photo shoot at the Neon Museum, click this link and fill out the information on the Neon Museum's official website. 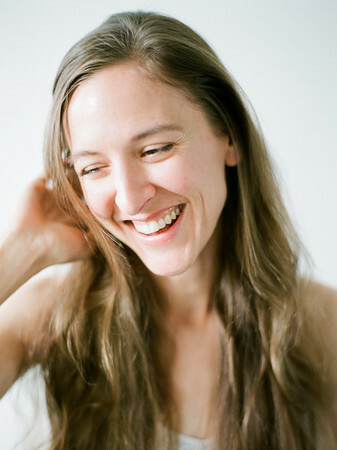 Please give them at least 2 weeks notice before your wedding or shoot date. Be sure to check with your wedding photographer about the timeline of the day. Once you've booked a time slot with the museum, you're not able to change it! 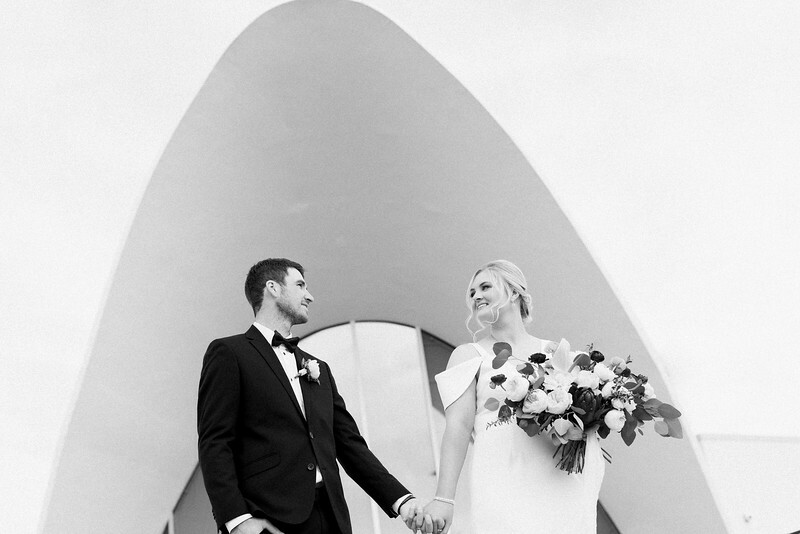 To start planning your intimate wedding ceremony or wedding reception at the Neon Museum, fill out this form on the Neon Museum's website. 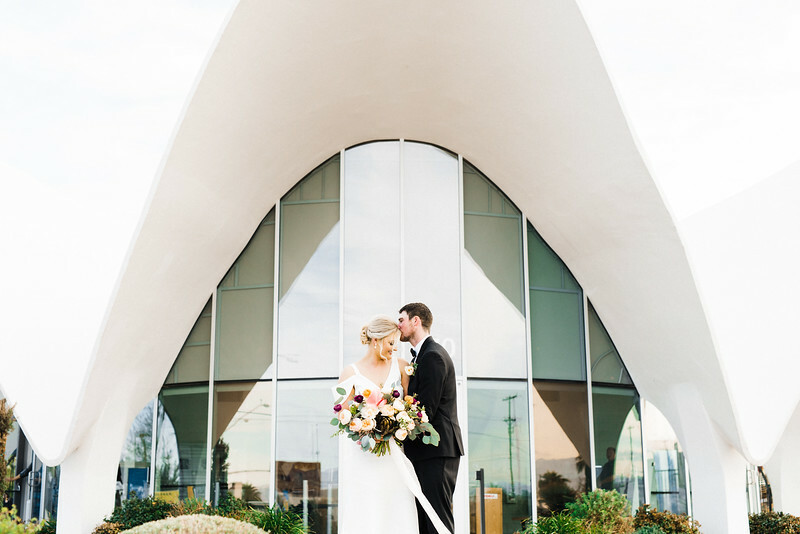 Let's start planning your wedding at The Neon Museum! Click here to reach out!